Shown below are hyper-linked Security Articles related to information assurance. 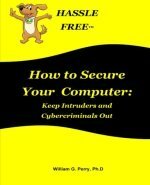 The article titles are varied and directly relate to computer and network security, Internet security and more. Click on the title of the article in which you are interested. We invite you to periodically return to this page to review articles that are added. 2.) Why is a Persistent Internet Connection a Security Risk? 3.) What is an EMP and How Does It Affect Information Assurance? 4.) How Serious Is the Insider Threat to Information Security? 5.) How Can a WikiLeaks Occur in the First Place? 6.) What is an "Identity Theft Report"? 7.) What is EPHI and Are You A Covered Entity? 8.) How Can an Identity Thief Obtain and Use Your Personal Digital Identity?